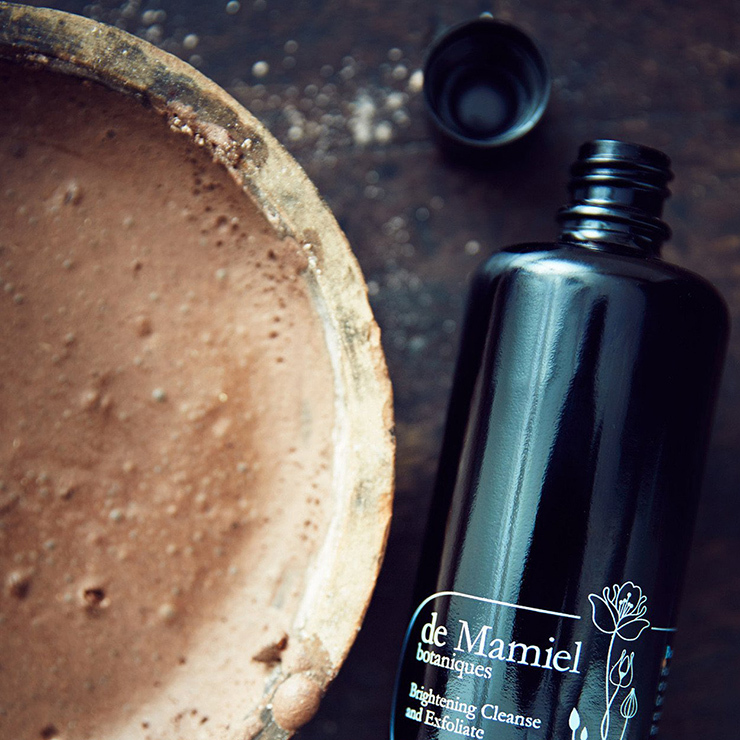 de Mamiel Brightening Cleanse and Exfoliate offers the ultimate way to make skin look and feel revitalized and refreshed. 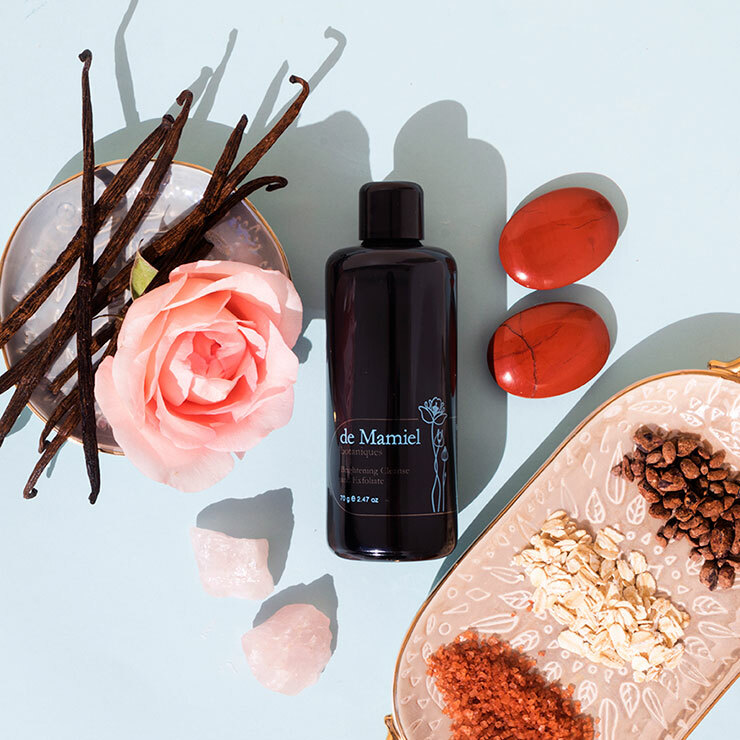 Made with antioxidant cacao, ginseng, and grape seed to lend a feeling of protection and repair from environmental stressors, this skin cleanser leaves the complexion looking radiant and clear. 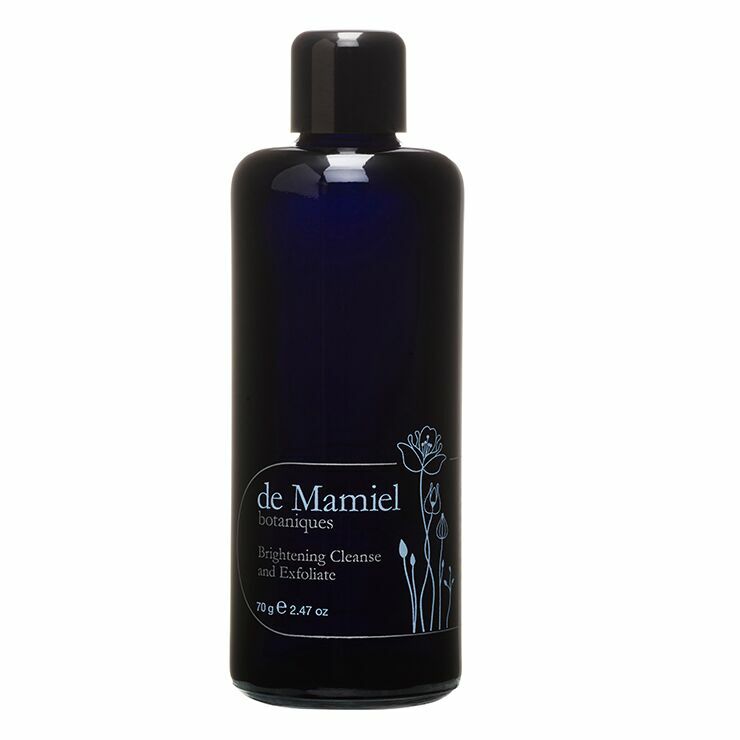 Chamomile and cucumber diminish sensations of irritation and inflammation, while rose makes skin feel hydrated and reduces the appearance of discoloration. 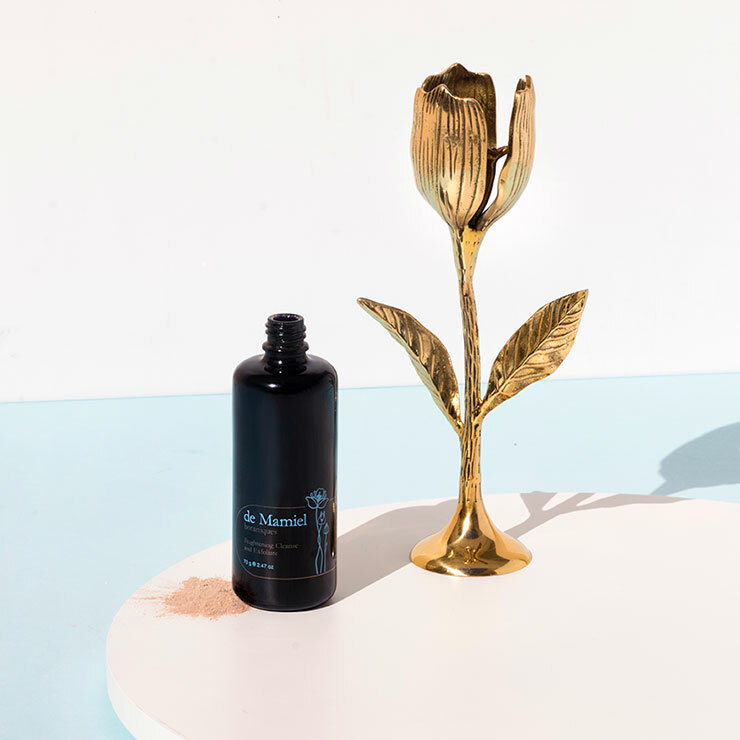 Gotu kola and sandalwood round out this ingredient list, providing a look of firmer, more youthful skin. The complexion is left looking bright, healthy, and clear. Add a teaspoon of powder to palm of hand and mix in a few drops of water to form a soft mousse. Massage the exfoliating skin cleanser gently onto skin in small circular motions, avoiding the eye area. Rinse with warm water and follow with daily use products. Use daily for soft, smooth, radiant skin. Those with sensitive skin may want to start with once a week use. May also be mixed with a cleansing balm for a more moisturizing exfoliation.